Talk about renewable energy and solar energy is the one that pops up in the head of most people. It is gaining more popularity than many other renewable energy resources. Due to the ever present resource called the sun, the energy is available in abundance and investment in tapping solar energy is a one-time life-time investment. 1) Environmentally friendly – Renewable energy resources are mainly used to reduce pollution. This way one’s carbon and ecological footprint are reduced. No pollution is caused as there are no emissions like carbon-dioxide, carbon monoxide, mercury, etc. in the atmosphere. Solar cells (for their size) are more efficient than other machines that are used to tap energy from other renewable resources. 2) Saves money – Although the initial cost is high, in the long run the energy obtained is more or less free. Investment in solar energy is a life time investment. Moreover there is no maintenance cost and this further saves money. The life of solar cells is very long (30 to 40 years) and one need not worry about changing them often. 3) Size can vary on our consumption/application: Solar cell panels vary in size depending on the application it is used for. 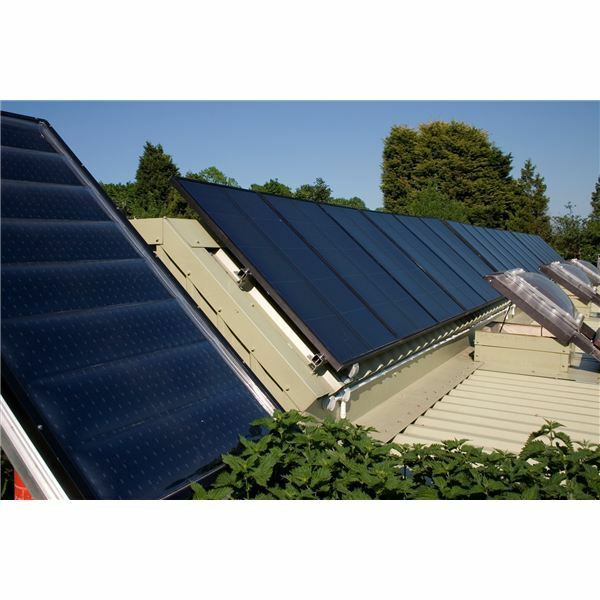 For example the array of solar cell panels used for heating pools is more compared to the number of solar cell panel arrays required to cook. Thus one is at the liberty of investing in solar cells depending on his needs. 4) Other ways of tapping solar energy: it is not necessary to use solar cells to tap solar energy. Mirrors and highly reflecting materials are kept at an angle such that the rays focus and heat energy is created that is used for various applications like cooking or heating water for some other purpose. 6) Easy availability of Solar Cells: It is not hard to get solar cell panels, especially in developed countries. There are many stores that have started selling solar cell panels and it’s very easy to get them. Installation often takes only a few minutes and they are all ready to use. 1) The initial investment is quiet high and not affordable by many. This high cost is due to the semi-conducting materials used in manufacturing the solar cells. 2) The geographic location should be taken under consideration because there is no point in installing solar cell panels in the polar region because the sun seldom shines there. 3) The area required to install solar cell panels should be more. In a small area the efficiency will not meet requirements. 4) Energy cannot be tapped during the nights or on cloudy or rainy days, but this may be about to change. See "Infrared Radiation Boosts Solar Efficiency." 5) The energy output using solar cells is less when compared to the energy output obtained by using fossil fuels.